Kassia Krozser, who writes the BookSquare blog which is lovely and fun and newsworthy – oh heck, I’m falling in love. Anyway, she tweeted this report from the International Digital Publishing Forum – yet another resource I didn’t know about and should. Now, look at that report – the first actually compares years if you look closely. There’s also a chart below with actuall numbers. The income in the 4th quarter of 2008 was $16,800,000; the 4th quarter of 2009 was $55,900,000 – what’s that? Something like a 120 percent increase? What ever it is, it’s significant. The notes have several caveats like the data is based on information submitted by only 12-15 trade publishers! Are you amazed? I am. I’ve known ebooks are important and growing, but this blows me away. I’ve dabbled in ebooks but I think it’s time to pay at least a little bit more attention to them. 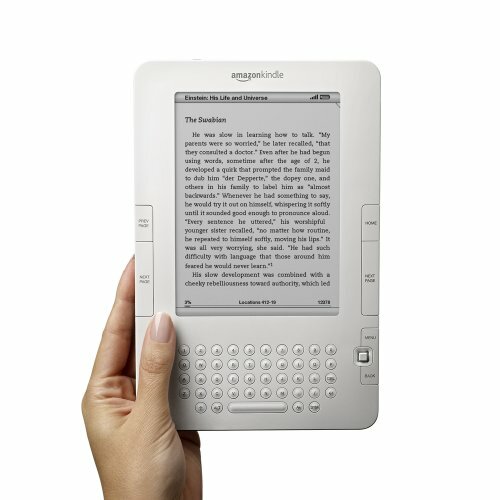 What’s your thinking about ebooks? I agree with Debbi. It’s a trend. There will still be people who buy hard copy volumes, or at least get them from libraries. The price of ebook readers will eventually drop, though, if only relative to everything else thru inflation. Libraries will then probably let you check out Kindles™, if they can get away with it, though they may charge a nominal fee. Or friends will swap them for a few weeks at a time. This can be good and bad for authors. Ebooks are the only way to beat the system, right now, break out of the vicious circle of no sales = no agent, no agent = no publisher, no publisher = no sales. . Marketing is completely different for ebooks. The problem is that the Internet is awash with ebooks, most of them lousy. Readers can’t find the good (i.e., your) stuff easily. How to compete? We can’t (or won’t) do what the publishers do–put paid ads everywhere, game the best sellers lists, and hire people to post phony reviews on-line. Social media will help us, but they also are a tool for the big companies. Is a puzzlement. One possibility is the formation of Internet authors’ guilds, cohesive networks of writers who recognize each other’s skill and maintain a common epublishing house for generation of significant traffic, sharing of resources, quality standards, and so forth. These will be similar to the old-line houses that would publish literature at a loss as an eleemosynary activity to establish their quality mission. BTW, thanks again, Anne-with-an-e, for this site and all your efforts on our behalf. You are a treasure. Math is an optional extra; you had the decimal in the right place. Where are the seeds of the guilds you speak of? Glad I had the decimal in the right place… numbers have always been, well, not my strong point. You know, I think I’d like a way these could be gathered together… and I suppose there are or will be directories. Maybe that’s part of your guild idea too. 232.73% to be more exact. Henk! Not only the answer but remedial math for me… which I sorely need. Bet I’m not the only one. http://www.bekker-romero.com/ lovely site too. It’s actually just over 253%…thanks online percent-change calculator! .-= Carol Tice´s last blog ..Mailbag: How to Successfully Blog =-. Three words about e-books: they’re the future. While print books will continue to be important (and have their advantages), e-books will become increasingly so (and also have their advantages–easy portability, cheaper, unlimited storage to name a few things). .-= Debbi´s last blog ..Surviving Social Media =-. Debbi, I think you’re right, and how do you think we’ll find our ebooks… where? How will we filter them? “What ever it is, it’s significant.” Significant yes, 120% no! I really want to feel positive about e-books for their potential as an opportunity for the masses of great but unpublished writers out there. Yet I’m still trying to get my head around how they’re superior to print books. I already carry around a smartphone; I don’t want to either buy or carry around yet another clunky device, and my smartphone (a Palm Centro) itself is not ready for prime time as a book reader (and neither, for that matter, is my husband’s iPhone). Nothing as yet provides the same reading experience of a book in terms of ease of use and viewing. I stare at a screen all day and would rather not do so while reading a novel in the evening. I can see some limited applications for e-textbooks — money savings, ability to search and annotate — yet textbooks would be even more useful if the publishers simply provided them as PDFs — without the crippling overlay of, say, Adobe Digital Editions. I get tired of the screen too, Kelly. And ebook readers aren’t there yet. Also I get it re another device, particularly one that’s delicate. Printed books can be slung around, dropped, stood on, etc. and still do what they are designed to do. We’ve got a long way to go yet.